At Ever Trade (The Driveway And Fascia Company), we strive to provide an excellent service to all customers, both commercial and domestic. Whether you’re looking for some small home alterations, or you’re thinking about resurfacing your driveway, our team of friendly and reliable tradesmen are here to help! 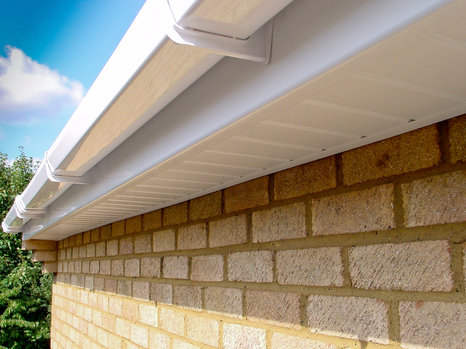 At Ever Trade we follow the practice of TOTAL REPLACEMENT not “over cladding” – of the roofline area using high quality, maintenance free uPVC. The advantage of doing this is you will have an attractive, durable, finished product in a range of colours. You can specify a colour to compliment, or contrast, the appearance of your home from the available range. We believe that the best way to promote and develop our business is to provide the best product and service that we can. We will only install products approved the British Board of Agrément (BBA) and the Fairtrades. Our team of block paving experts provide a complete measuring and design service for all block paving work. Examples of our previously completed paving, together with stone samples and colour brochures are available upon request. Listening closely to your unique preferences, we will design and install all block paving to the strictest of standards, on time and within budget. From driveways to private roads and car parks, we have both the skill and the capacity to undertake tarmac surfacing contracts of varying sizes. Ideal for all types of surfacing, our Tarmacadam provides a cost effective alternative to more expensive, traditional forms of paving. Whether proof and incredibly resilient, our tarmac surfacing can be supplied and installed within a short turn around, especially over large surface areas such as tennis courts, access roads and car parks. No Deposits Required – Pay Upon Completion! As a further commitment to quality work and good customer service, we do not ask for any deposits or payments, prior to the completion of our work. Our customers only pay once all work is complete, and when they are happy with the standard of workmanship provided.